Is Non-Alcoholic Fatty Liver A Risk Factor For Liver Cancer? Is Non-Alcoholic Fatty Liver Disease A Risk Factor For Liver Cancer? Non-alcoholic fatty liver disease (NAFLD) or hepatic steatosis (infiltration of the liver cells with fat) is a potentially serious form of liver disease which presents with swelling of the liver and may progress towards irreversible damage. It is the most common cause of liver disease in developed countries. As the name suggests, the major characteristic of the disease is excess of accumulation of fats in the liver of people who consume less or no alcohol. This excess of accumulation of fats acts as a toxin to the liver cells. It is very important for you all to know that the intensity of damage it causes to the liver is similar to that caused in alcoholic fatty disease (in people who consume heavy alcohol). This damage can be so much so that it can progress to liver cirrhosis and liver failure. Non-alcoholic fatty liver disease constitutes the third most common risk factor for the development of liver cancer. Many researchers have concluded and proven that non-alcoholic fatty liver disease can also be a potential risk factor for liver cancer. Individuals with the primary stage NAFLD do not have any noticeable symptoms and also may have a normal liver profile as per the laboratory tests. But, one can always suspect to have a liver disease if you experience symptoms such as loss of appetite, weight loss, abdominal pain, generalized weakness, and confusion. These symptoms should be keenly attended, particularly if you lie between 40 to 55 years of age. The liver functions tests may be found abnormal accidentally during a routine blood test. If not diagnosed on time, the constant liver injury occurring due to chronic inflammation can be a good reason to cause liver cirrhosis and, further, pose a high risk for liver cancer in many individuals. Through research, it has been also studied that non-alcoholic fatty liver disease creates an oncogenic (cancerous) environment in the body of the affected individual that makes one prone to suffer from liver cancer. But, the chances of contracting liver cancer can be definitely curbed and prevented if early detection and prompt diagnosis are made. Genetics also has an active role to play for NAFLD to be a risk factor for the occurrence of the liver cancer. Hepatocellular carcinoma is the fifth most prevalent cancer in the world and ranks as the third leading cause of cancer-related deaths. The incidence of NAFLD or non-alcoholic liver disease has been a growing risk factor for liver cancer, over the last decade. Two major risk factors to cause NAFLD are insulin resistance and obesity. Insulin resistance (diabetes) was found to be an independent risk factor for hepatocellular carcinoma since it activates various cancerous mechanisms in the body. However, the underlying mechanism for the development of this condition is not yet fully understood. Hence, NAFLD is directly as well as indirectly linked to happen to be a risk factor for liver cancer. Now, if you are already suffering from diabetes and obesity, let us start with the basics. The dietary factors and your lifestyle matter the most when it comes to the prevention of further complications of fatty liver. You can always start with an appropriate diet and lifestyle suiting your needs and customized for the prevention of fatty liver. These are the two factors which are most modifiable. It is you who can do it and make it happen if you decide once and for all. Talking about the treatment for fatty liver, the conventional mode of treatment has limited medications to offer. These medications can turn out to be a boomerang, as their long-term use can turn hepatotoxic (harmful to the liver). Homeopathic treatment is by far the safest treatment one can think of in various stages of fatty liver. There are medicines which help in the regeneration of liver cells and have the capacity to halt or slow down the further progress of the disease. One should definitely think of homeopathy in the initial stages of fatty liver disease. If you find this blog useful and have been diagnosed as having fatty liver disease and its variants, do let us know in the section below. 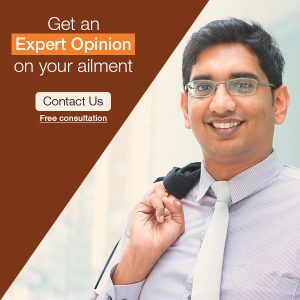 We would be happy to help you if you have any queries related to this liver ailment. Get in touch with Dr. Rajesh Shah’s associate doctors at Life Force Homeopathy. You may also write to us at info@lifeforce.in or give us a call at +91-22-66888888.